Before you give your final JEE Main and Advance Test Know where you stand. Practing Mock Test Just Like JEE Mains and Advance at the same exam timing. Over 3000 question to practicing from across syllabus. 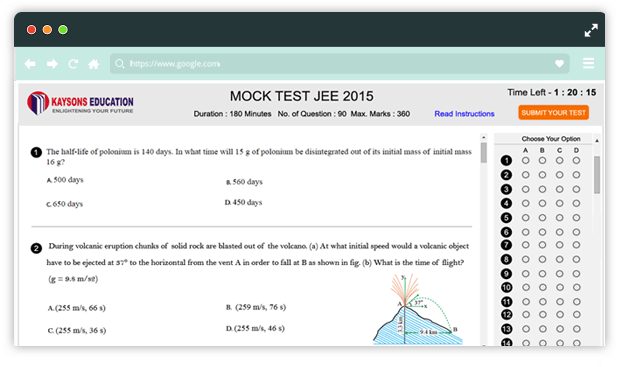 JEE Advance paper includes Multiple answer, comprehensive and integer type questions. 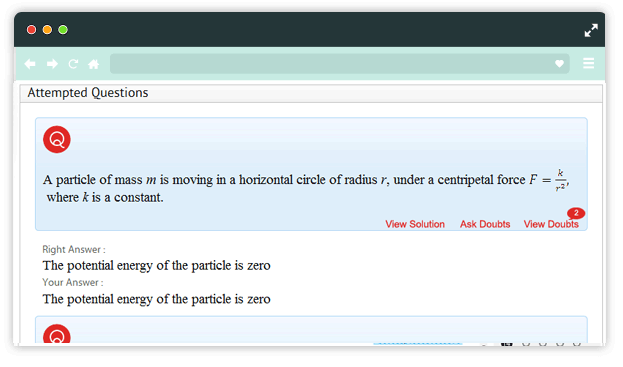 View questions of missed Test and ask your doubts. Test are conducted at the same time as you will be giving your JEE Paper so that you are mentally and physically prepared to give the exam at that time. For each test the topper will be getting awards. This helps students to practice harder. Kaysons Education is giving Scholarships worth INR 2 Lakhs. The Test are based on JEE Pattern and hence you can be sure that the marks you get in our test will be very similar to marks you will be getting if you give exam at that time. All the test will cover the complete syllabus of Physics, Chemistry and Mathematics. Developed By our Teachers the quality of questions is same as that of JEE Mains hence the marks you get in our National Test will be very close to what you will get in JEE if you give the test right then. 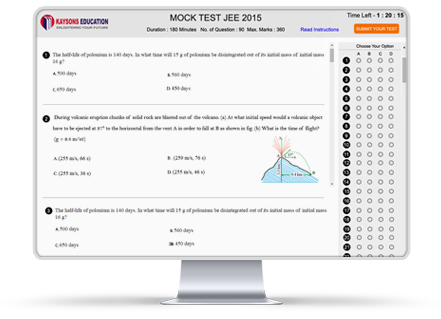 Over 1000 of student would be attempting the test with you at the same time just like JEE Mains. 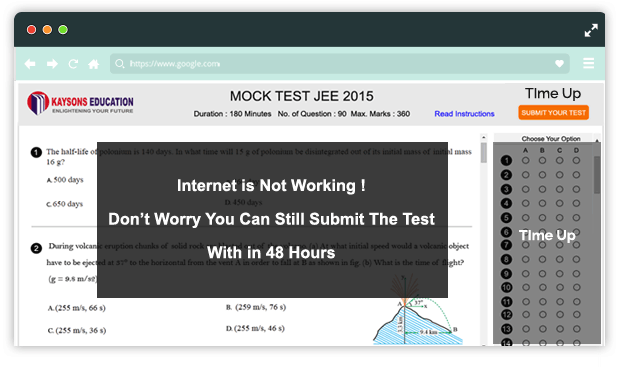 If internet goes off while giving test you need not worry. You can submit the test anytime later. After each test you will have a option to view doubts asked by other and ask doubts for questions asked in the test.